168 kmh (105 mph): Fastest fastball ever pitched in MLB, by Aroldis Chapman of the Cincinnati Reds, in September 2010. 4.82 km (3 mi): Distance a cyclist can travel on 100 calories of energy. 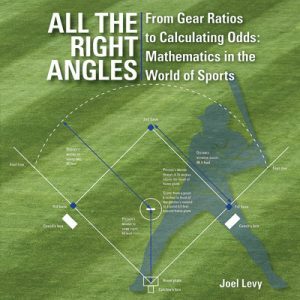 All The Right Angles is a virtual feast of sport statistics, numbers, geometry and trivia. The connections between mathematics, science and sports is clearly explained in this colourful book with the use of text, illustrations and infographics.